While not promoted as a “civil war” between North and South racers, Saturday's 200-lap feature at SpeedFest turned into a real battle as to what region had the best races; the north or the south. Looking at the final results of Saturday night, it looked like the North had the bragging rights. Led by Charlie Menard, Northern drivers managed to sweep the top-four spots on Saturday night and grabbed six of the top-10 spots. However, if you look at the results for Thursday night's 100-lap race, it looks a little different. That night, the South, specifially Florida drivers, grabbed the top-five spots and placed seven in the top-10. So, who rules? The North or the South? “I don't' believe that (they kicked our butts),” said Wayne Anderson. “Thursday night was the other way around. All night long tonight, the Southern cars were up front, but had some problems. (Charlie) Menard ran well. I don't know where he found the horsepower. Friday and Saturday he looked terrible. All of a sudden, Saturday, he had some horses under the hood. I don't know. So maybe the verdict is still out. Who has the best race car drivers, the North or the South? Well, there is just one way to find out Anderson thinks. of the loop. This is neat racing. T his is what I like. I just wish there was more of it. 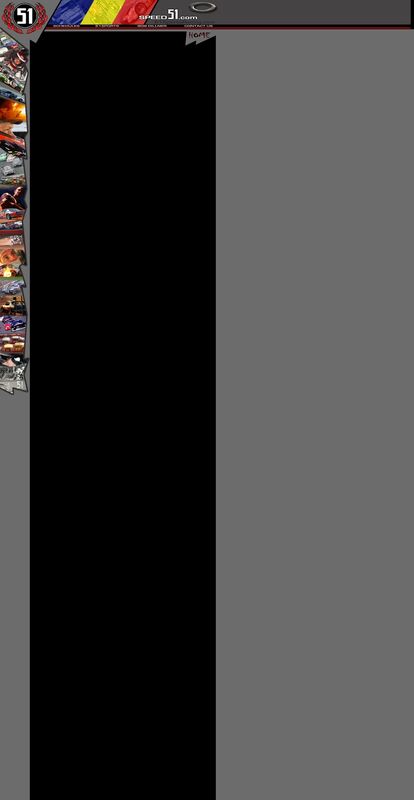 I wish all of these series could get together, run two races at each place, make it some type of points thing. 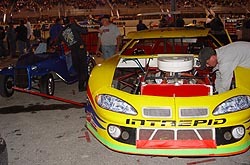 Pat Kelly came down to Lakeland to not just to run the big race, but more to just see how he and his team would fair against some of the best competition in the country, and to also “shake down” their new car and just get it ready for the 2005 racing season. Little did he know that he would leave on Saturday night with a third-place car. “We are really happy,” said Kelly, a regular at Illiana Speedway and a former ASA driver. “We didn't expect to do this well, especially since the best were here. We have a car to go home with. We came down here to practice it and shake it down. So to come home with a top five finish is pretty good. It wasn't just big for Kelly, but it was huge for his car owner too. “My owner is on cloud nine. He's never been outside of Illiana in all the years he's racing. We took him to Grundy County last year and it was wild for him. There is not telling where we'll go from here. Charlie Bradberry doesn’t have much of a great feeling for Florida anymore. Just a year after his 2003 Snowball Derby victory, Charlie would probably be pretty happy if he didn’t see Florida again for some time. 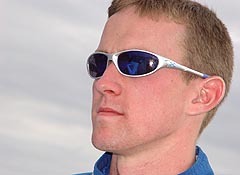 Following the 2004 Snowball Derby, where Charlie crashed late in the race after being one of the fastest cars on the track, he headed back down to the “Sunshine” state for SpeedFest 2005. The weekend didn’t start out too well for Bradberry. On Thursday night, during the first 100-lapper, Bradberry was coming up through the field in his own number 78 when a tap from another car got him crossed up. Just as Bradberry thought he had the car saved, he was hit from behind at near full speed by Dave Jackson, taking off the whole rear end of his #78 and ending his SpeedFest early. However, Bradberry didn’t leave Florida and stuck around to watch the action. It paid off as Ronnie Sanders’ car owner Tracy Goodson offered up the team’s backup car to Bradberry for Saturday night’s 200-lap feature. Again though, Florida proved bad luck for Bradberry. As the team was preparing to push the car out to the grid for the start of the race, they cranked the engine over, but something let go internally, ending his night before even getting to take the green flag. “We rolled it out there to the grid and I was thinking we were going to have a great night,” said Bradberry. “I went to crank it and the carburetor had a lot of gas in it. I don’t know if I over-revved it or what, but something internally in the engine let go. It had been acting up all day when I was cranking it up. "It is too bad. It’s been a tough weekend. My car was great on Thursday. It was fast out of the trailer. Then we wrecked it pretty good. 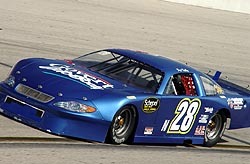 “Tracy Goodson was nice enough to let us use his backup car. We had the car great car during practice. We worked on it a lot during the day. I think we were going to be good in the race. “I’m thankful, he let us borrow his car. I wanted to race really bad. I didn’t want to go home. Neither of the two cars that everyone thought had the best shot at winning Saturday night's 200-lapper was able to finish the race. It was pretty disappointing for both drivers, and might have even helped out the Southern contingent in the final standings. First was Mike Fritts, who seemed to be the dominant car all weekend long following his win in Thursday night's 100-lap feature. Fritts led much of the early part of Saturday night's race and looked to be coming back up through the field following a pit stop when engine problems sidelined the Florida regular. “The first caution came out and I started noticing the water temperature bouncing around,” said Fritts. “That normally means there is no water in it. We just decided to keep running it and then the oil temperature started coming up. We decided to pull it in cause we didn't want to tear the motor up. Then, it was another Florida driver's turn to dominate. Brian Finney, an elementary school teacher and part-time racer, looked to then have the car to beat until he got into an accident with Josh Hamner coming up through the field. “I got my right sides (tires) and I knew I was going to use the outside to pass some of those guys,” said Finney. “I was trying to be as patient as I could. The 38 (Hamner) decided to go low so I went on the outside of him. I don't know if his spotter didn't tell him someone was on the outside or what. He came right across the front of me. He just didn't give me any room and put us both in the wall. Hamner said that there was a car under him and he was forced into Finney. Josh Hamner headed to Lakeland with a lot to prove and to learn. After all, this was Hamner's first, big four-barrel Super Late Model race. And after three days of action, how did he think he did? “I'd give myself a 'B,'” said Hamner. “I'd say we did pretty well. We wanted to just finish the race, so that was tough. We qualified ok. I think we did pretty good. And what did he think of his first experience in such a big race? To say Chuck Barnes Jr. had a wild SpeedFest weekend would be an understatement. 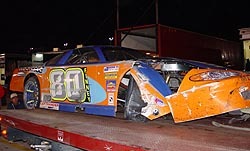 Barnes was involved in an accident on the first lap of Thursday night's 100-lapper. The accident severally damaged Barnes' #55. Enough so, that at first, the team thought they were going to have to pack it up and head back to Kentucky. However, after further examination, the team decided they could fix the car with the proper tools and plenty of help. They got it fixed, made it back for Saturday's feature, and came home ninth. Barnes. “It all started off on the wrong foot with bad tires selection, then getting wrecked the first lap of the first race. We got it all fixed and back out on Friday night, but we didn't get to test it out because it got rained out. We spent Saturday working all of the bugs out and it showed that we didn't get to work on some of the things we normally would have worked on. It should be considering what Barnes went though just to get his car back together following the accident.